​Dr. Nathan Powers was born and raised in Cincinnati. After graduating from Saint Xavier High School, he attended University of Colorado and received his Bachelors in Molecular, Cellular, and Developmental Biology. ​Nathan then worked for the Knudsen lab at University of Cincinnati and his research contributed to two publications advancing the knowledge and treatment for prostate cancer. ​Since graduating from the University of Kentucky College of Dentistry, Nate has been practicing patient-centric dental care in the Cincinnati Area. He loves to volunteer on dental missions locally and internationally. Dr. Powers has traveled to Costa Rica to aid Nicaraguan refugees and volunteers at the Elm Street Health Clinic in Over-the-Rhine. ​Outside of the office, you’ll find Dr. Powers enjoying events in downtown Cincinnati along with cheering the Cyclones to bring back the Kelly Cup. ​Oak Ridge Institute for Science and Education U.S. E.P.A. 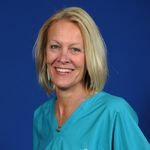 Our Hygienist Sheri has been in the dental industry since 1988. She is unparalleled in her talent to remember names, faces and the lives of every patient who enters our doors at the Powers Family Dental Care office location in Mariemont, Ohio. Sheri’s talent and hygiene skills are exceptional. 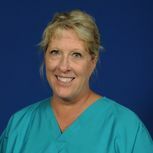 She provides patients with exceptional care, making patients feel welcome and comfortable throughout their appointment. She is married and has an adorable little girl. 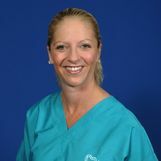 Our Hygienist Julie has been a hygienist since 1997. She has developed such a core following of patients that she is missed and asked about on her days off. Her hygiene skills have been excellent since day one, and she continues to provide thorough gentle hygiene to every patient treated. She is married to a dentist and has two dogs. She is known for her kind, outgoing personality and very detailed and personal patient care. 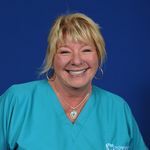 Our Dental Assistant Sharon has been in the dental industry since 1975. She is the true “rock” of our office after 27 years of dedicated work. She has been trained in all aspects of dentistry and is always willing to help coworkers and patients alike stopping by to talk to each patient about their lives, children or occupation. She always makes the extra effort to help patients feel at ease and comfortable so they have a pleasant dental experience. Sharon has three daughters and four dogs. Our Front-Office Coordinator Laurie has been in the dental and medical industries for over 20 years. She is the newest member of our team starting here in August of 2010. Patients have come to count on her knowledge and experience to handle all of their insurance and billing needs. She is very detailed-oriented and will readily tell you she loves her work. She has two beautiful children and loves the outdoors. Powers Family Dental Care has a unique, welcoming and relatable Cincinnati charm that our patients love. Our office is located in the Village of Mariemont, right in the heart of it all. Mariemont is a planned community village, founded in the 1920s. Mariemont exhibits English architecture in different styles. The village square serves as the community center with red brick Tudor buildings. Mariemont is a small, close-knit community just minutes from downtown Cincinnati. This historic community is known for its charming village square and buildings that feature many different styles of English architecture. The red brick Tudor-style building, just off the village square that houses the Powers Family Dental Care office has been home to three generations of non-related Irish-American dentists!